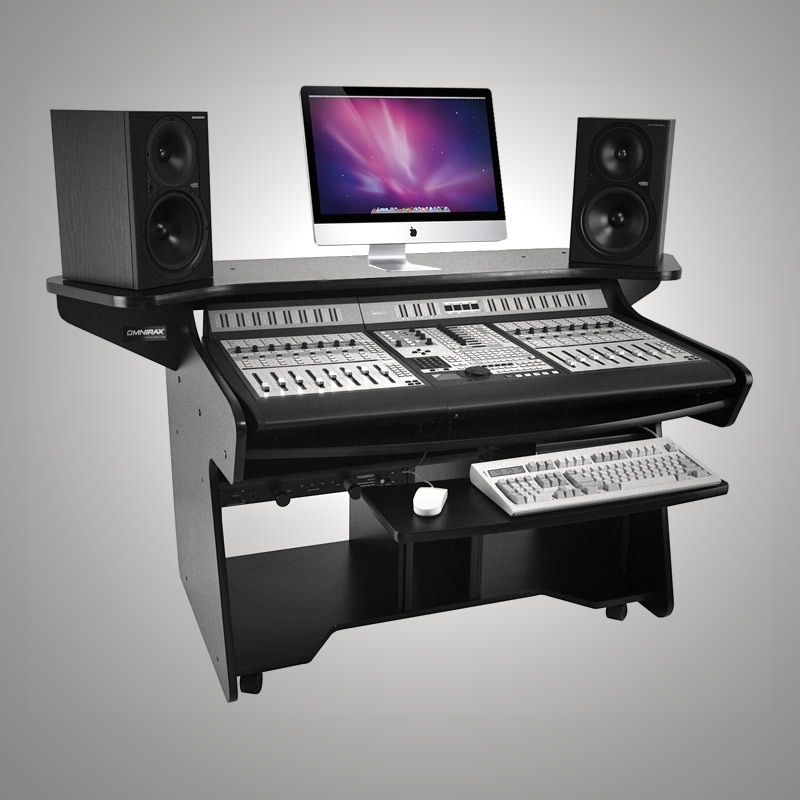 Digidesign’s ProControl fits comfortably on the desk at just the right working height. Reinforced angled monitor bridge will hold near fields and up to 2 computer monitors. Fully adjustable sliding computer keyboard and mouse shelf included. 18 rack spaces for associated peripherals in double bay below. Our SideCars, SCL & SCR also easily attach to the sides of the CodaEX, making an expansive workstation with added rackspaces and versatility. Categories: Music, Mixing, Coda Series. The Coda-EX is an expanded version of the Coda, creating an ergonomic platform for digital mixing and editing environments such as Digidesign’s ProControl and associated peripherals. Desk Surface Height , 28"
Desk Space in front of Bridge , 25.5"
Nearfield Monitor Height , 36.8"
Clearance Below Bridge , 7.8"